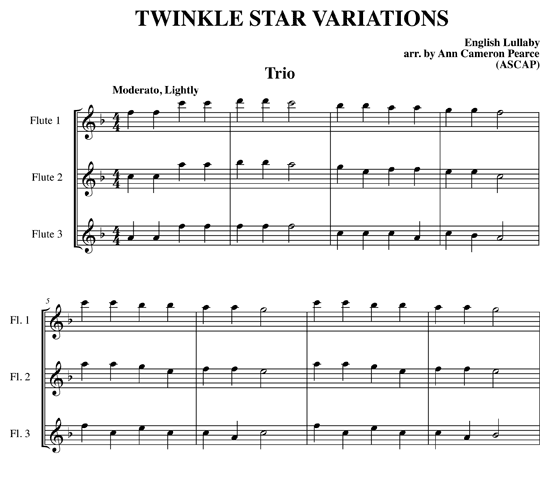 A favorite with the nursery rhyme set, the music to “Twinkle, Twinkle, Little Star” was first published in 1761 and became a popular English lullaby. It must lend itself well to musical variations, for these composers are among the many who have taken a turn at providing their own versions: Wolfgang Amadeus Mozart, Johann Christoph Bach, Camille Saint-Saens, and Franz Liszt. What we have here for flute quartet is obviously a very simple and direct trio (appropriate for beginners) with three flute obbligatos (moderately difficult) for the fourth flute. 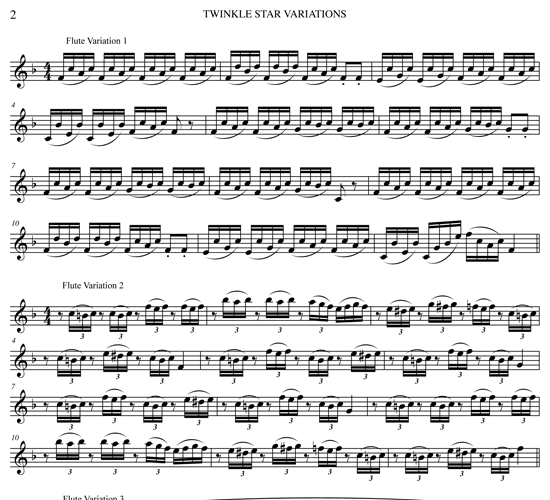 If all performers are of equal ability, they could simply take turns with all the parts, including the three decorative variations. Creativity prevails! 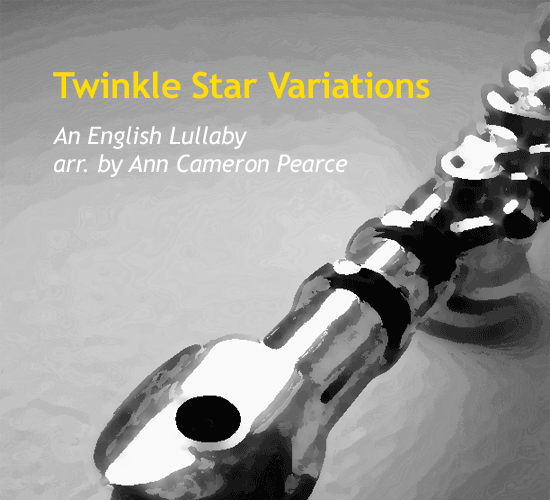 /wp-content/uploads/2013/04/mp3-twinkle-star-variations-by-ann-cameron-pearce.mp3Performed by an automated synthesizer.